Discussion in 'Fan Art' started by MichyChan, Mar 27, 2016. Saw there was a fanart section and thought why not post up some of my fanarts? 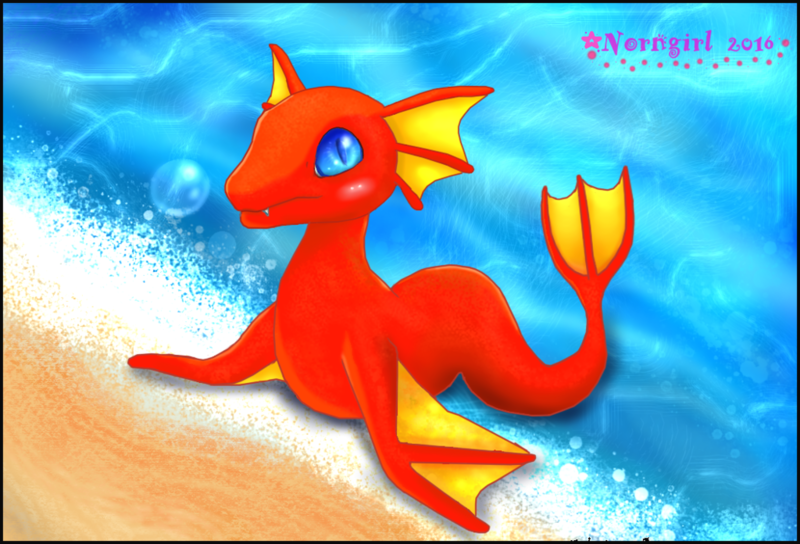 I like to draw a lot and since I like to draw animals/creatures in general - as well being all for the pets in Gojiyo,I thought I could have my own topic where I post my fanarts here. 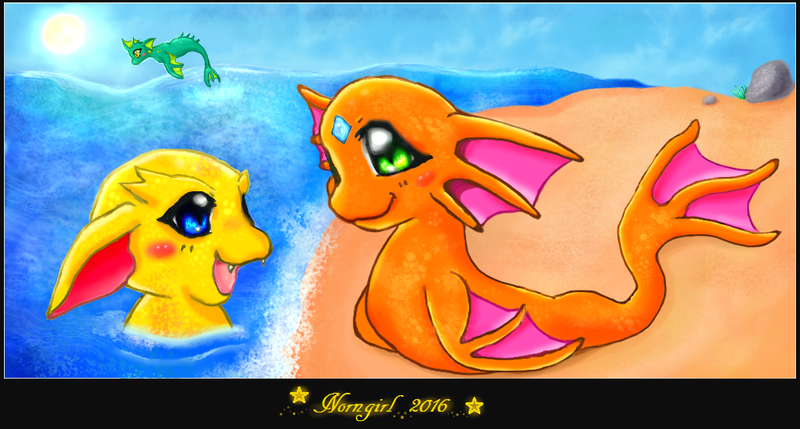 So this topic is where Im showing my drawings I made of my Gojiyo pets (or any Gojiyo pet in general ). it will be a bit varied.,as I like to play around with styles. Edit: Fixed my links so it shows pics. Note: You have No right to steal/edit/upload/ or claim as youre own of any of my art,Thank you . 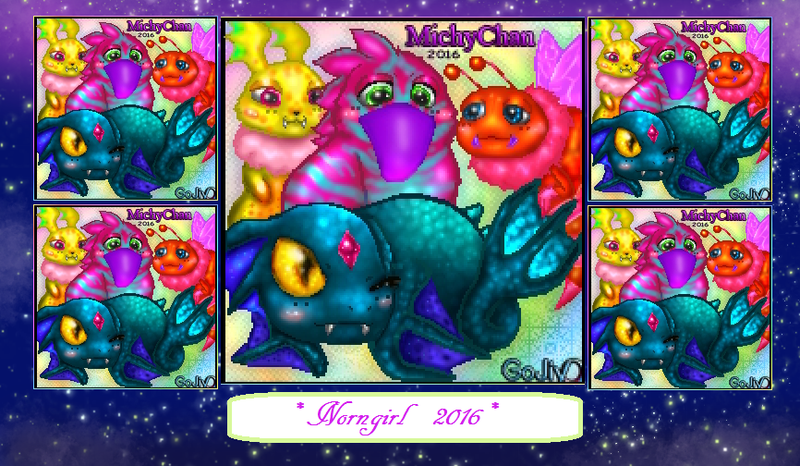 Art is made by me MichyChan,but Pet species Perricans,Wasbees,Dragonfishes and Wabite belong to Gojiyo,sinewave. Another Dragonfish image,think this one turned out bit better. I hopefully will do more - I really hope the Pets in Gojiyo will be fixed up soon in Gojiyo's next update! Yeah - we passed the pics around the office when you first added them. Oh o.o Is that so? Be it good/less good etc - I will still draw Gojiyo pet Fanat! Going to support it and hope the pets won't be removed. along with see the alien pets and maybe some new pets added. When I do more fanart,I will continue post it here. Yeah - we are going to re-enable them; I think longer-term on our general roadmap we have a sequel planned, but it looks like it'll be during next year; so we'll be fixing them up in the meantime.